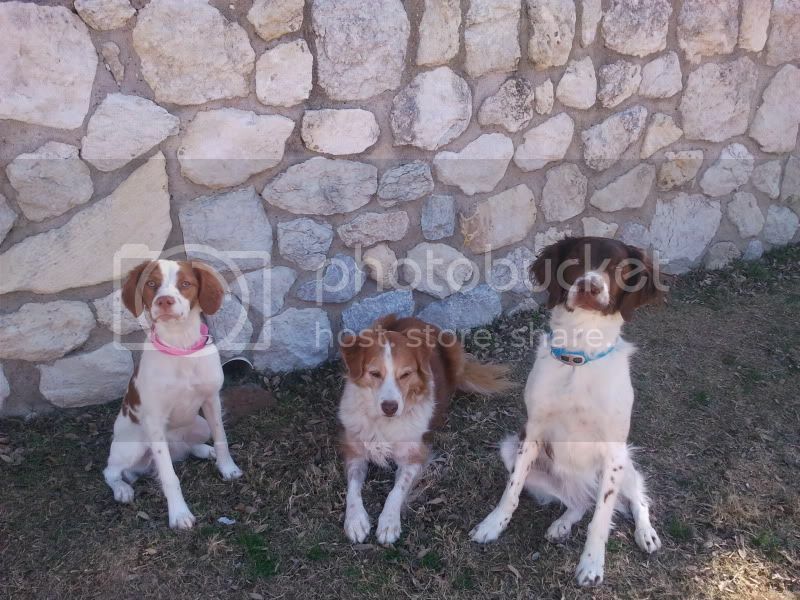 American Brittany Rescue • View topic - Teach an old dog a new trick. 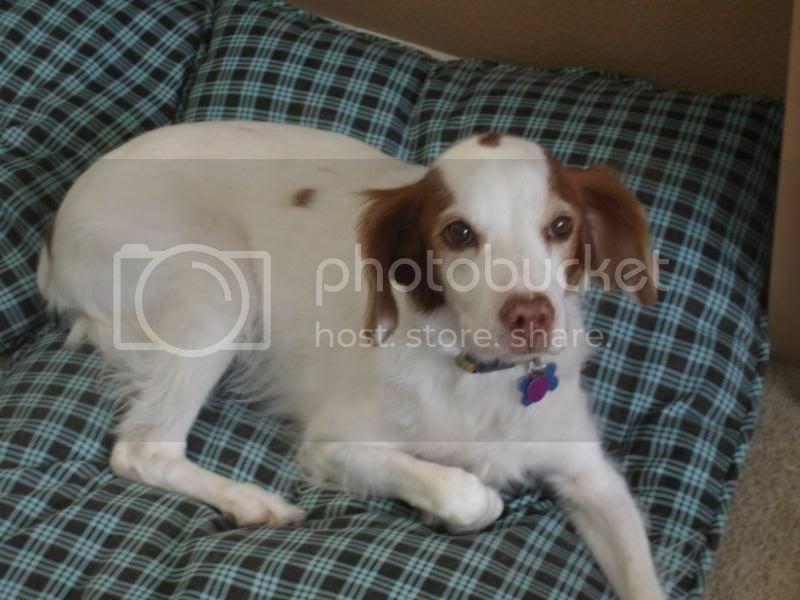 I am new to the forums and am contemplating adopting a Brittany. Was wondering how well older dogs react to new families and owners? Is training any more diffacult with an older Brit? Is the breed intelligent enough to train in the 3-5 year old stage? Is or would it be harder to train a dog of this age rather than a younger pup? Welcome and thanks for considering adoption! - By the age you are thinking of, the dog's basic personality and character are pretty well formed, so what you see is what you get. In a puppy, it's always a guessing game until they mature. - If you adopt from ABR or another rescue that places dogs in foster care first, you get a really good assessment of the dog's personality, behavior, and character from the foster family. Usually, they will be able to tell you for sure whether or not this dog has issues around children, or particular kinds of people, or around other pets; whether you should expect it to jump on and knock over your toddlers, or your elderly great-aunt Martha, or your Ming vases; whether it can be expected to sleep peacefully under your desk for several hours a day while you work; how much exercise it approximately requires to be calm when inside; how easily it learns certain things; whether or not it has house training or anxiety issues; what dietary needs it has, etc, etc ..... the list goes on and on. Knowing about any of these issues can not only help you make the best possible choice in selecting the perfect dog for your family, it will also save you lots of grief in figuring out potential issues and solutions (forewarned is forearmed!). - Training actually gets easier when your dog is past the puppy stage: A dog that age can concentrate much better than you can expect from a young puppy; so training generally goes much faster. Also, by age 3 you are past that annoying stage called doggie-adolescence, where your well-trained pup suddenly "forgets" all about what you laboriously taught him. - Finally, unless someone in your family stays at home during the day and is able to concentrate on training the dog for much of that time, getting a puppy is not a good idea: Puppies don't have enough bladder control to "hold it" for more than a couple of hours at a time, so they need to be let out a zillion times a day. If you aren't around to do that, going through a "paper training" stage etc. usually makes things take much longer and is harder on everyone involved. Ok, if you've read all the way to down here , you might perhaps be interested in reading a really helpful book on dog-issues as well..... so, here's my recommendation: Have a look at Pat Miller's "Positive Perspectives -- Love your dog, train your dog". It has a chapter with really helpful hints on where and how to get a dog, lots of great training advice, as well as basic health considerations etc. If you are looking for a dog that will go to the park with you off-leash and stick to your family like glue, rather than bounding off after the next available squirrel, then you will have to either find a very special Britt, or you will need to plan for lots and lots of recall training. This is the one behavior that is a bit hard to learn for most Britts and probably comes more naturally to some of the many other breeds. Good luck with your doggie search! Well, Catharina said what I wanted, but much more elegantly. Most of the fosters I have gotten in have been between 1 and 5 years, and all of them have adjusted just fine. They pick up obedience skills quite quickly, and I've never had a problem teaching a foster the basics. I've found that positive reinforcement works wonderfully for teaching a dog of any age just about anything. One of my own dogs is 5 years old, and she still enjoys learning new tricks. My boy just turned 2, and he's learning to compete in agility. Honestly, I much prefer working with dogs that are out of their puppy stage as they seem much more focused and easier to work with. Ah, just what everyone else said! How much love and attention are you willing to devote? I promise they will give it all back in return! Think about your specific needs and discuss them with the state coordinator. A lot of times they get dogs in BEFORE they even hit the "Foster" board and can match you accordingly. Welcome and thank you for thinking rescue!! I just rescued/adopted a 2 year old Brittany. I am having so much fun training him. He is much more settled then a puppy and the bonding he has for me is unbelievable. He is very focused and willing to please. It is as if he is saying I love it here and I will do anything to be with you and stay here. With a dog of any age it takes time, patience and commitment. All dogs have their own personalities rescued or from a breeder, young or old. But, I think you will find that the bonding with a older rescued dog is just as great or greater then with a dog you get as a puppy and the training will just follow along with it. I also have taken an older dog through trick school at the age of 8 years She did just fine learning new things. I have no experience with training older dogs. I just wanted to say that you should read a few of the posts from people begging, and pleading, and crying for help with their young pups. I was one of them Getting a dog as a puppy is not a easy road to take. After careful thought and consideration I have adopted JACK. Drove 12 hours this past Saturday to pick him up. He seems to be a great dog. Has some basic skills and to me he is truely a beautiful britt. Thanks to all for your opinions and guidence. That is great news, thanks for adopting a brittany! You'll have to post pictures soon so we can see your new boy . YEAH! CONGRATS!! Yep - must have pics ASAP! Thanks for adopting and please keep us posted. Congratulations and thanks for adopting Jack. First night home, getting to know my Daughter.